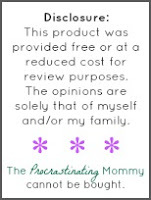 The Procrastinating Mommy: Kidecals: Brilliant Labels, Mom-Approved. Save 15% TODAY! Kidecals: Brilliant Labels, Mom-Approved. Save 15% TODAY! My boys are getting older … and with that means they’ll be partaking in more and more games and activities. Since starting school and playing sports, I’ve realized how important it is to write their names on everything. 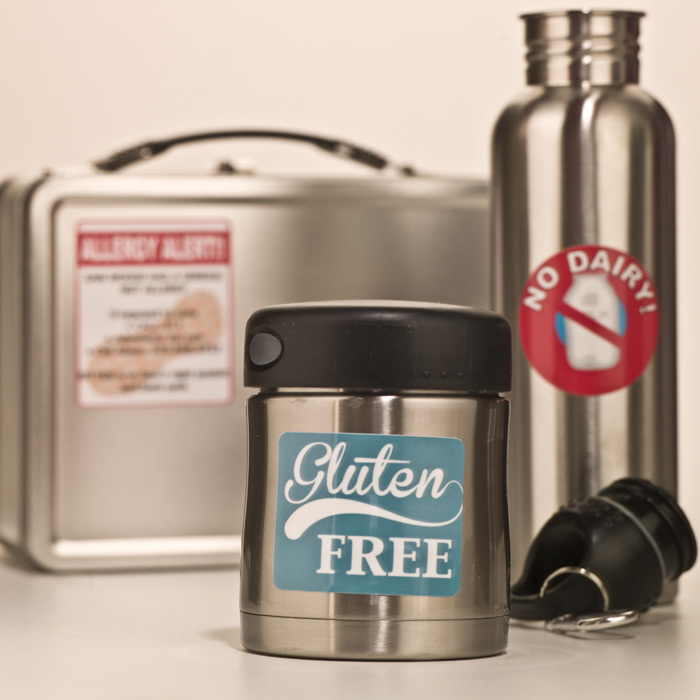 From pencil boxes to lunch pails (do they still say "pails") to jackets and water bottles, labeling has sort of become second nature to me. I’ve become so use to labeling their belongings that I keep the labeler in the car and stick it on the item as soon as we make the purchase. OCD much, Amanda? Jeesh. Before I found Kidecals, I was hand writing my children’s names on all of their belongings. That got old. And it was tacky and definitely not "hip" according to my 5-year-old. Kidecals are personalized kid name labels that can be used on water bottles, clothing, books, toys, sports gear, etc. with fun and trendy designs. Kidecals are dishwasher, washing machine and dryer safe and they do not damage surfaces. The labels are even waterproof. Which means you can attach them to your pool toys at the next water party! How cool is that?! Kidecals was founded by a mom of two boys. I knew there was a reason I was instantly attached to these labels! Which means … they’re not just some product that popped into a 20-year-old’s head and slapped a paten on it. Nope. They’re kid-tested / mom-approved! My boys are crazy for anything with a mustache. We have t-shirts, stickers, socks, and tattoos. 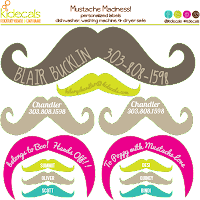 We love Kidecals fun Partystache stickers to use on folders, or just to be silly, and the Mustache Chalkboard Stickers are a cute way to label/organize the kids stuff (or even yours if you’d like)! Kidecals are an absolute must if you've got kids and hate losing their stuff. 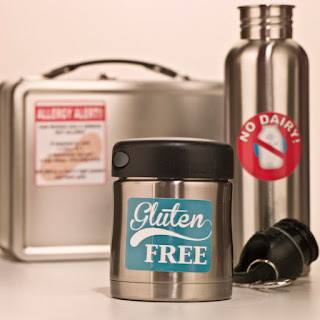 Label water bottles, clothing, books, toys, and sports gear with their trendy and fun designs. Kidecals are crazy durable...dishwasher, washing machine AND dryer safe, and they don't damage surfaces. BAM! These things rock! The annoying thing about using a sharpie to label stuff is that it eventually washes away. Kidecals waterproof name labels are insanely durable and can stick to just about anything. From clothes to water bottles...and stay put through wash after wash after wash. Oh - and pool toys? Check and CHECK! Oh … They were even featured on The Today Show! Yayeah! Matt Lauer is a cutie patootie and he can label anything of mine, anytime! Have you figured out that these things are the new "it" thing yet? If you don’t make the purchase of a set of Kidecals today … I don’t want to hear you complain later when little Tommy loses his lunch box. Just sayin. BONUS: I have a gift for YOU! My Readers can now Save 15% off Kidecals - the most durable waterproof labels on the market! Just use the promo code: bestlabels on their website when you place the order. Now go! Get on their website and order now! Before Junior loses another jacket to the lost and found pile!